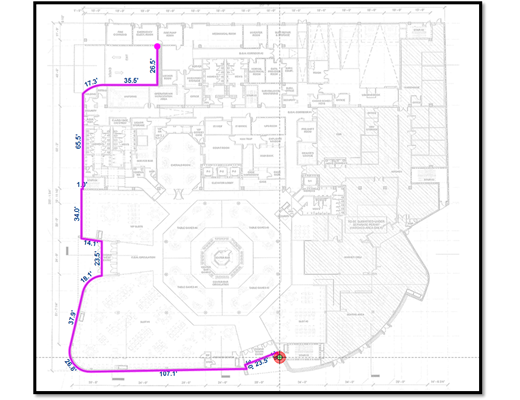 ApexSketch v7 offers new improvements to the Modern drawing paradigm we introduced in ApexSketch v6 a few years ago that allows you to draw floor plans faster and easier than ever before. And Even though the learning curve is small, we haven’t forgotten about the 10s of thousands of users who are familiar with our Legacy Drawing methods we’ve offered for over 30 years! Apex Software has always been known for its wide range of options that allow you to configure our products to best suit your preferences and workflow. ApexSketch v7 is no exception! Give us a call today and we’ll get you setup with your free trial! Whether you’re drawing from your field notes, plans & specs or on site, we have all your sketching needs covered. ApexSketch v7 supports traditional Keyboard & Mouse input as well as Active Pen, Touch and Bluetooth with Leica® DISTO™ Laser Meters. What’s even better is this is all included in a single application. No more hassle with managing separate desktop and mobile applications! A common question a lot of our long-time users ask when considering our latest product is, “Does it work like my current sketcher?” The Modern Drawing Methods provide a ton of benefit. But there’s a lot to be said about retaining familiar functionality to help with your transition. ApexSketch v7 lets you choose the drawing style that’s best for you. As technology and operating systems evolve, so do our sketching products. ApexSketch v7 has been optimized for Windows™ 10, giving you the confidence that when you update and/or move to a new computer, ApexSketch v7 will continue to function properly. 1. Draw all the line of your floor plan. 2. In Define Area Mode, simply begin clicking/tapping in areas to select a shape. Yes, It’s THAT Fast. Yes, It’s THAT Simple. And So Much More! Call Us!